If you’re looking for a specialized food that will be able to give your pup the nutrition and benefits your dog needs to be happy and healthy, you may be interested in looking into Hill’s Science Diet Large Breed Dry Dog Food. 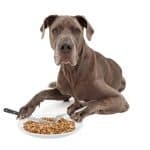 This dog food was developed by a veterinarian and has a wide variety of conditions your pup may have—everything from bladder health to skin conditions, to diabetic formulas. In this review, we are going to talk a little more about the features of the Hill’s Science Diet Large Breed Dry Dog Food, but we are also going to give you an overview of what people who have purchased the dog food had to say about their overall experience with it. Then, we’re going to give you our recommendation on whether or not this dog food is something you should consider purchasing for your own pooch! This food was developed by Dr. Mark L. Morris Sr., a veterinarian in Edison, NJ for the Raritan Hospital. When the food was developed in 1968, it was only intended to be available through pet professionals and vets, however, it became available when it was bought by Hill’s Pet Nutrition in 1976. Chicken – Water is cooked out and the actual meat content is a fraction of its original weight. Wheat – An inexpensive and controversial cereal grain that has only modest nutritional value. Barley – Starchy carbohydrate that supplies fiber and healthy nutrients and not much else. ​Sorghum – Gluten free and boasts a better blood sugar behavior than other grain ingredients. ​Corn – Just like wheat, this is a controversial cereal grain with modest nutritional value. Corn gluten meal – 60% protein, but has a lower biological value than meat proteins. Hill’s Science takes pride in using high quality proteins like real chicken, lamb, beef, or salmon. Their products are made with natural ingredients, vitamins, minerals, and acids to give your pet the proven antioxidant benefits they need to be healthy. The company works with pet nutritionists to create each product with the highest standards to give your dog more opportunities to be active, healthy, and loving members of your family. 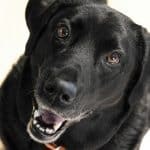 Not only does the Hill’s Science company care about your pets, but they also have a Food, Shelter & Love program that donates food to shelters all over the country. This program gives dogs in shelters the proper nutrition so they are healthy when they make it to their forever home. Each purchase of this dog food helps feed homeless pets. When we looked at the user reviews, we saw that 88% had great things to say about the dog food and left 4 or 5-star reviews. Of these reviews, people commented on how convenient ordering the dog food is online and having it shipped directly to their door. One customer said they’ll not go to another store again to pick up food. Customers have said that their dogs who have sensitive stomachs gobbled up this food with no problems and didn’t show the typical signs of discomfort or pain due to the sensitive stomachs. A few customers have also said that the controlled weight formula was perfect to help manage the weight of their older dogs. 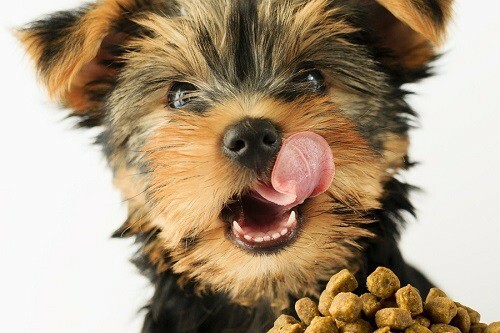 Customers have noticed a positive difference in their dog’s mannerisms and energy level when they switched to this food. So what did the remaining 12% of customers who left 3-star or below reviews have to say? The most common complaint customers had was that the food they purchased online wasn’t the same quality as what they get at the vet. 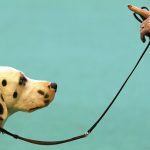 Customers have said that the product they got online made their dogs sick. Customers have mentioned that upon switching to this food, their dogs have experienced loose stool, which could be attributed to how “greasy” the food is when compared to over brands. A couple of customers complained about the delivery of the product—one bag came completely opened in the box, another bag came with a dead mouse inside the bag. Yikes! 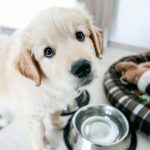 It’s completely understandable that you want to give your dog a pet food that is going to give them the nutrition they need without any artificial additives, flavors, or questionable ingredients. So, you may think that a product that was created by a veterinarian would be a great product to give to your dog. With more than 17 different varieties available, the Hill’s Science Diet can treat a number of health conditions your dog may have, such as oral care, sensitive skin and stomach, and boost their overall fitness. Before you settle down and subscribe to a large 38.5 pound bag of this food, which is going to be just under $45, you may want to test your dog with the smaller, 17.5 pound bag, and save yourself $15 bucks. We believe that this dog food will be able to give your dog the nutrients they need to help joint health, maintain a healthy coat, and prevent against dry skin. When you do transition food, be sure that you gradually decrease the amount of their old food while increasing the amount of the new. 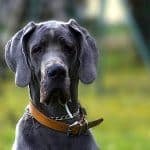 You’ll want to continue this for a week so that your dog’s digestive system can acclimate itself to the new formula without causing any upsets or unpredictable side effects. Also, it is recommended that you buy the food that corresponds to the dog’s age. 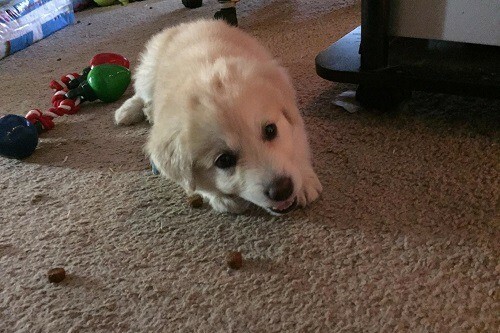 Once your puppy turns 1 year old, consider transitioning to an adult food. Then, once a dog turns 5 to 7 years old, transition to a senior dog food formula. 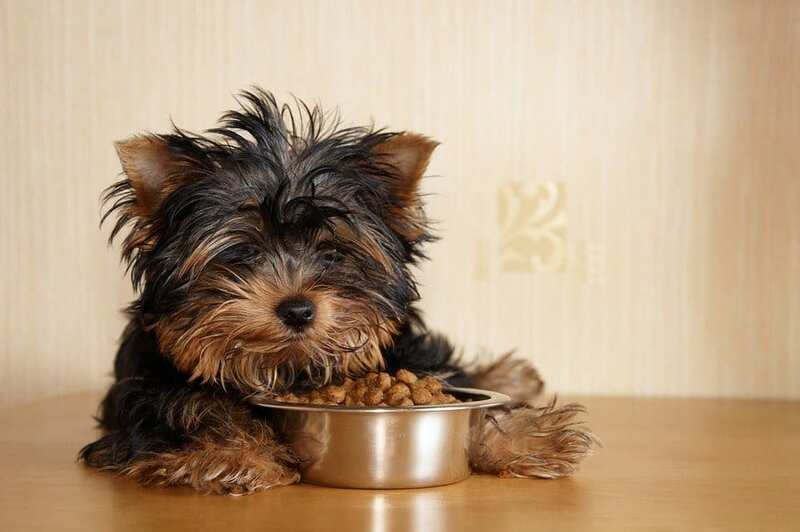 By changing food in accordance to the life stages of your dog, you are giving them the nutrition they need for that particular life stage, thus ensuring they are going to be around for a long time.